Hampi is known as the 'city of ruins.' In Hampi you can find numbers of old artifacts and wonderful historical architecture. There are places like Virupaksha Temple, Ugra Narsimha, Vithala Temple, Queen's Bath, Lotus Mahal, Shivalinga, Hazar Rama Temple, Achuta Raya Temple and many more. To have a sight of these places, huge numbers of global tourists visit this city. 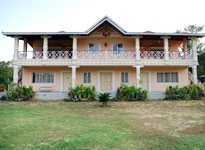 You can find out numbers of Hotels in Hampi which have distinctive look and facilities. There are heritage hotels, two star hotels, three star hotels and also budget hotels in Hampi. 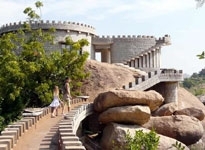 Among them there are Hampi Boulders Resort, Kishkindha Heritage Resort, Hotel Mayura Bhuvaneswari, Sree Rama Tourist House, Lokare Lodge, Mayura Lodge, Naga Lodge and various others. These hotels are well-known among the tourists who want comfortable accommodation facilities in a reasonable price. These Hotels in Hampi provide various types of facilities which can make your holiday tour to Hampi a very pleasant one indeed. The Hampi Hotels are supplied with comfortable rooms and suites, along with the accommodation facilities like attached bathroom, air-condition, cable television, international dialing facility, furniture, mini bar, refrigerator, cupboard, running water and round the clock room service. All the Hotels in Hampi are furnished with dinning facilities. There are restaurants which serve mouth watering cuisine of the world and South Indian delicacies too. Some hotels have bars. Among the various Hotels in Hampi, some have well equipped conference rooms and banquet halls. The Accommodation in Hampi gives you the opportunity of traveling around the city as all the hotels arrange sightseeing tours in and around Hampi. The other facilities of Hampi Hotels include car hire, car parking, same day laundry, reception, tourist guide, 24 hour travel desk, safe deposit locker, 24 hour security, currency exchange and many more.